Released October 2009. Only 800 sets made. Order Now! All the toys are made… the presents are packed… the elves have gone to bed and Santa’s sled is loaded. 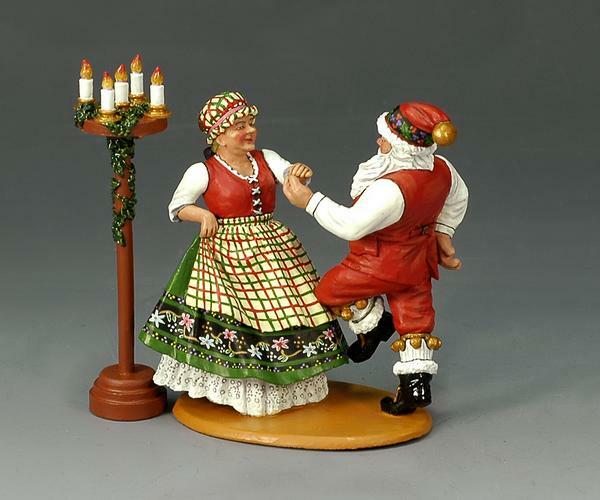 He’s about to head off on Christmas Eve and, to celebrate, Mr. & Mrs. Claus enjoy a little jig around the workshop floor. There’s a long night ahead but for a brief moment Santa and his Missus can enjoy each other’s happiness. The two-figure set also includes the tall candle stand.